We are pleased to announce the recent hire of Christophe Calzada, who joins our International Department as Senninger’s Area Manager for Western Europe and Northwest Africa. Christophe graduated with a BTS (Brevet de Technicien Supérieur) in Mastery of Water Management in Agriculture from the Agricultural Lycee of Nimes Rodilhan and holds a license in Water Management for Agriculture from the University of Avignon. He comes to Senninger with over 24 years of experience in the irrigation industry, with a focus on mechanized irrigation. 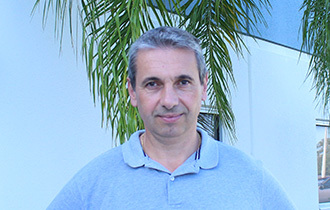 Christophe resides in France and is fluent in French, Spanish, and English. He can be reached for sales inquiries, technical support and event questions via email at christophe.calzada@senninger.com, via Skype at christophe.calzada, or via phone at +33 6-10-29-32-74.